Tehran, March 11, IRNA - Some 43.8 million of Iranians are eligible to attend the upcoming parliamentary election on March 14 nationwide, the State Organization for Personal Status announced on Tuesday. All the 18-year of age and above are eligible to vote for the 290-seat parliamentary election which will be held next Friday with participation of about 4,500 candidates. An official with the electoral headquarters of the SOPS told IRNA that grounds were prepared for conducting a massive turnout by Iranians in the 8th Majlis election. Out of the total 7,597 candidates registered for the upcoming Majlis elections, the competency of over 4,500 hopefuls were approved by the Guardian Council. The council is the final body in charge of examining competency of the hopefuls for any elections. It also examines the legislation passed by the parliament to ensure that it accords with the Constitution and the Islamic precepts. The 8th Majlis election and the by-election for the Experts Assembly in the constituencies of Tehran, Qazvin, Ilam and East Azarbaijan provinces will be held concurrently on March 14. 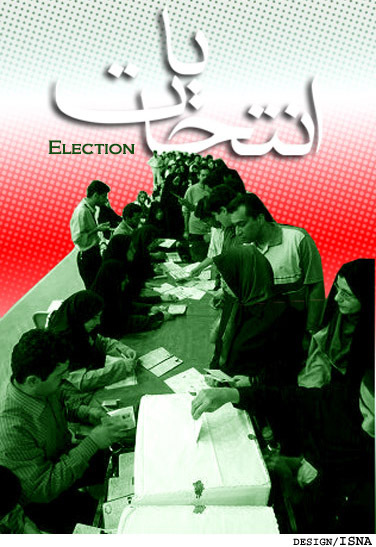 Belief in and commitment to Islam and the Islamic Republic of Iran, allegiance to the Constitution and Velayat-e Faqih, having good physical health, holding at least a master's degree or its equivalent, lack of criminal records and aged between 30 and 75 are the terms for the candidates.